Most homes these days have a garage and having one means that you have a garage door. If you are like most people, you probably don’t realize that it is a spring or a set of springs that do most of the work in raising and lowering. But, what happens when it doesn’t work? 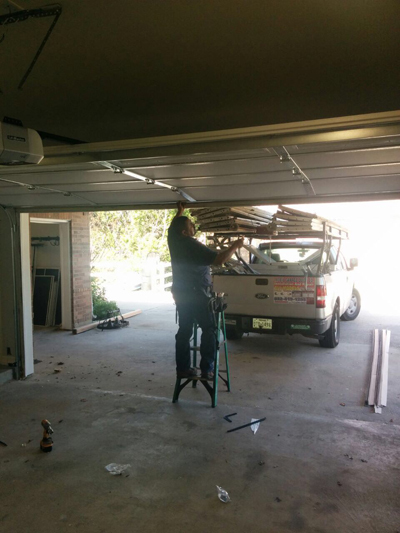 If you do not know what the problem is, contacting garage door repair in Miami Lakes would be the best thing to do. Here are some tests you can do to make sure that it keeps operating correctly. Since it is the spring that does most of the work, you should make sure that they are fully operational. The test you can perform to make sure your garage door spring is working properly is relatively easy. First, you disengage the automatic opener. You will see a cord with a handle, usually red, hanging from the opener inside your garage. Pull the cord to allow manual operation of the garage door. Open the door about a foot and let it go. It should remain open and not close. Repeat the test by opening it to about your height. Once again, when you let go, it should remain open. If your door closes, then the spring most likely needs replaced. The force with which your garage door opens and closes can be adjusted. You can test this force by conducting the following test. With it open, stand near the door with your arms outstretched. Close it so that it comes down to meet your hands. Once it meets your hands, it should reverse and open. This is a safety feature. Doors are very heavy and can cause damage to a person or an object. The closing force could be too high also, which could damage the opener’s motor. These two tests can help extend the life of your opener.